Anyway, the blue themed tray was just as many random blue toys as I could find to tie into our color week. 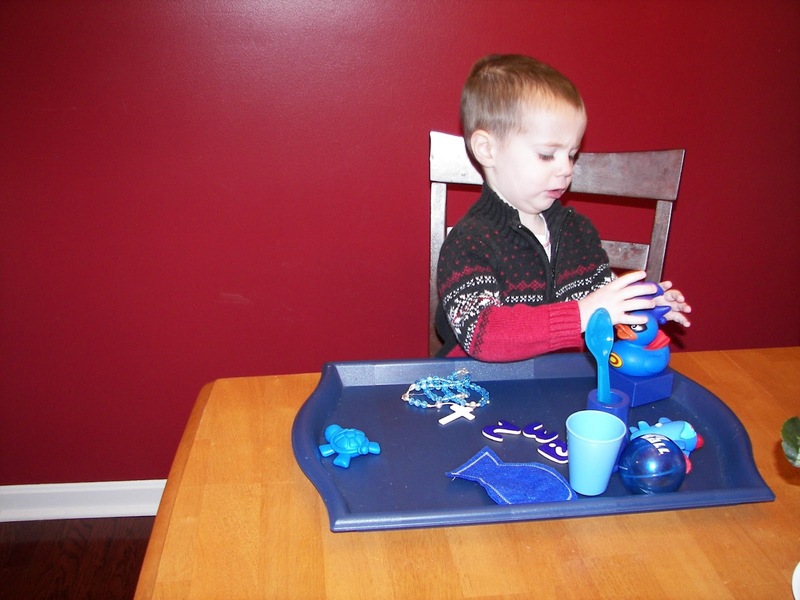 The toys really didn't go together except that they were blue so I guess that is how they go together. My son had fun with it and used the toys in very imaginative ways that I hadn't predicted. 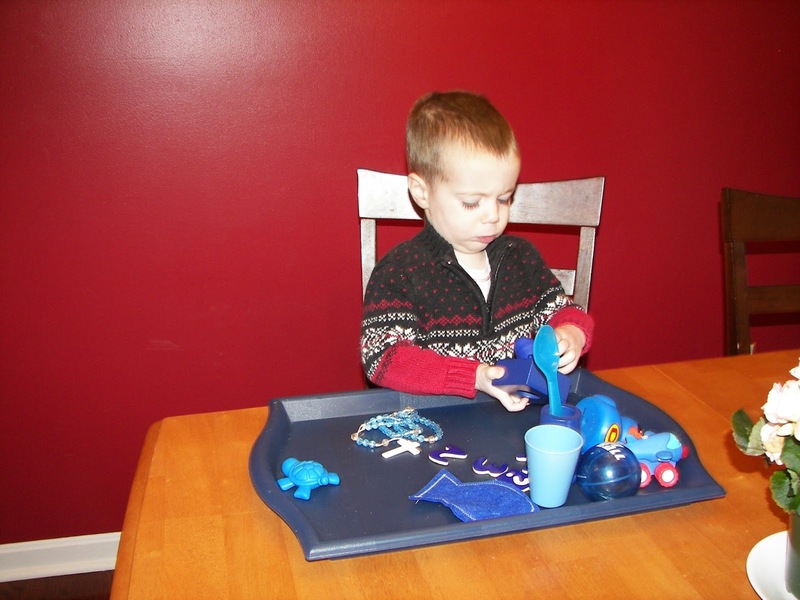 In the end I have no idea if he has learned anything more about colors than he already knew but it was a fun week. 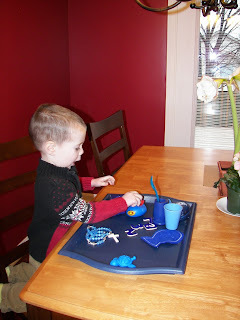 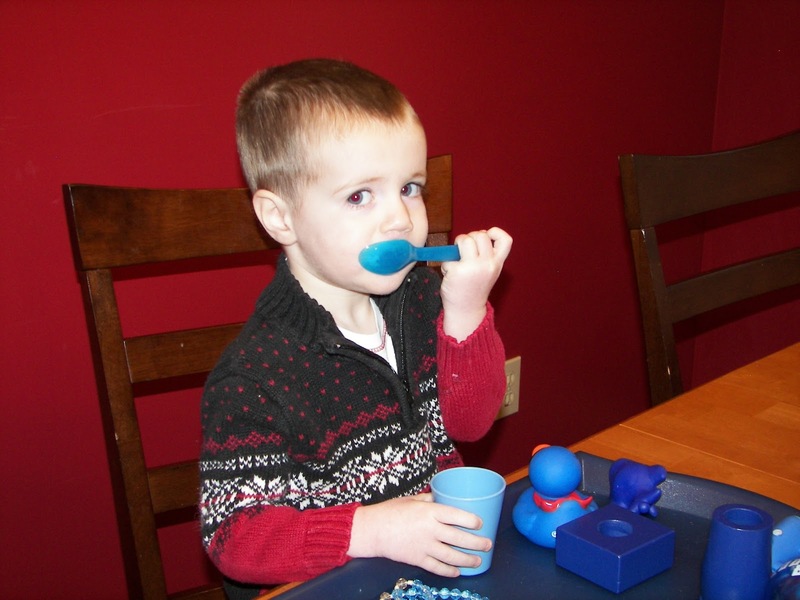 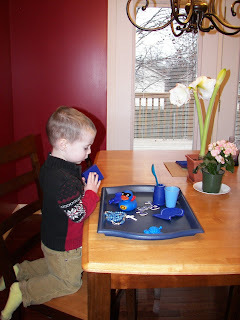 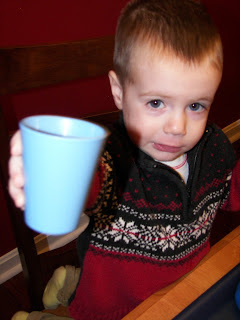 Here are the pictures of our blue tray fun.